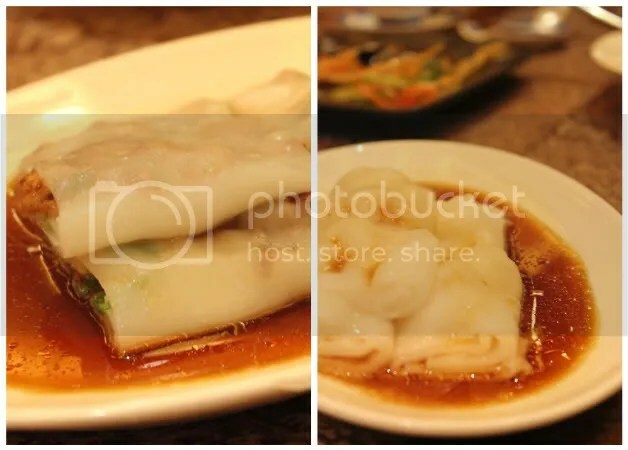 Taste Paradise- currently my favourite place for dim sum! We were refused at the doorstep of Taste Paradise a week before but this time, we made sure we called for a reservation. Truth be told, I didn’t expect to be blown away or anything but boy was I impressed by the impressive standard that was consistent in every dish whipped out efficiently from the kitchen. I believe everyone should be familiar with their signature custard buns by now, every table had this. Soft pillowy bao encasing molten custard that flows out as you nibble away the bun. This is not a custom on our table so I can’t compare it with others. Having said that, a first timer like me really enjoyed the sweet and savoury molten liquid that didn’t come across too oily or gelat. This is a must-try! 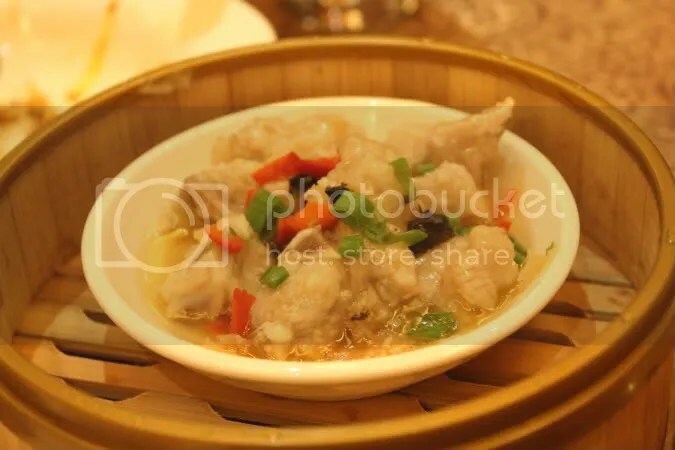 Cheong Fun is one of my favourite dimsum and breakfast items and I’m glad to say the Taste Paradise’s rendition is nothing short of spectacular! They were tender, exactly like how Lei Gardens did theirs. Delicious. This is no normal carrot cake, in fact it’s the best carrot cake I have ever eaten. Each cube was well coated with the sweet sauce, had a hint of spice from the chilli and was a little charred to give that wok hei flavour. The major difference was how soft each piece was, so unlike the usual stuff we get in hawker centres. Every extra cent paid was worth it. This turned out to be a fantastic starter and palate cleanser. 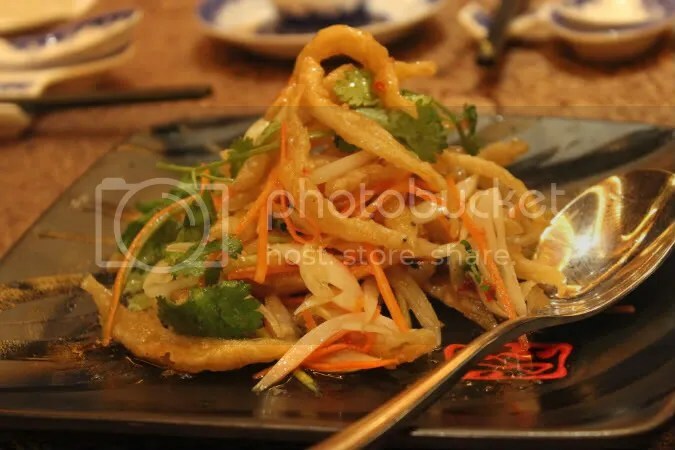 The crispy silver bait was tossed in a sweet and sour dressing which tasted like a mix of vietnamese fish sauce and soy sauce. An interesting and thoughtful twist to the plain crispy silver bait we get elsewhere. I was expecting the usual thin crackly skin but instead the skin here was a little thicker and extremely crunchy. Think kettle chips! 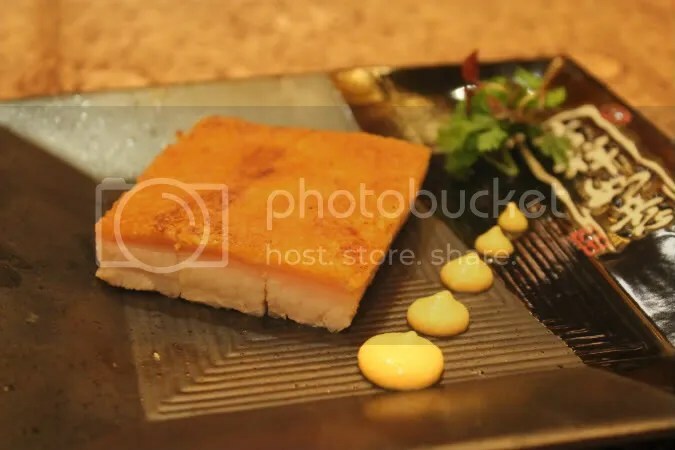 The textures worked excellently together- melt in the mouth fats, the tender and slight chewy piece of meaty pork and to top it all off, a very crunchy and tasty skin. 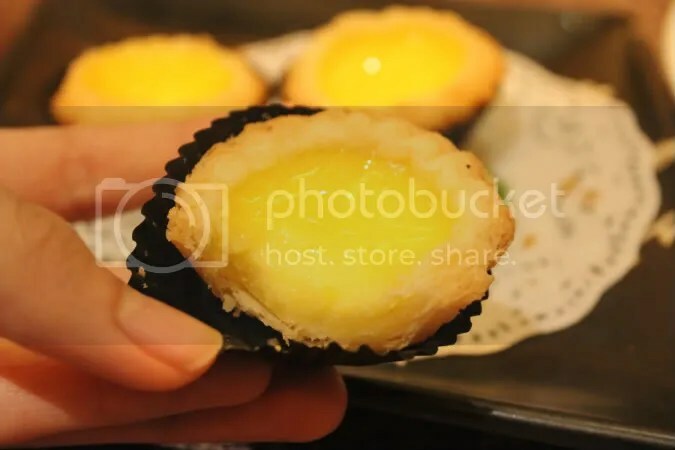 Perhaps one of the best egg-tarts I’ve had. Puff pastry that does not have excessive oil residue, that does not snap into smithereens but nonetheless retains it’s soft flakey texture. The filling itself sits in the middle of wobbly and hard. Plus points for striking a nice balance in terms of sweetness, it really brings out the egginess of the filling instead of masking it with the artificial taste of white sugar. Pity it was served at room temperature, serving it straight out of the oven would have made it perfect. This order got forgotten and subequently took a little longer to arrive but we had no regrets waiting for it. Full as we were, we managed to finish the huge serving (about 6 small bowls?). 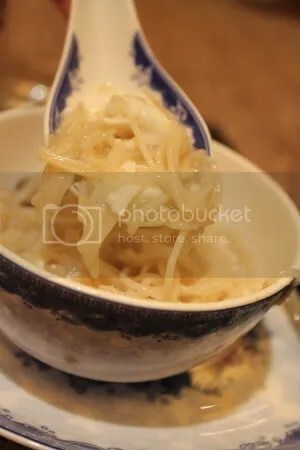 It’s basically egg whites cooked from the heat of the vermicelli which had been stewed in tasty stock studded with tons of succulent crab meat. No egg yolks here thus making it such an easy dish to stomach. Simple ingredients but tons of flavour, if there is a carb dish you have to order for dim sum this will be it! We liked the version of steamed spare ribs here as well, it was traditionally done and brimming with flavour. Dad, who loves this enjoyed the tender and tasty meat tremendously. There’s more than what meets the eye in this little glass. Lots of different ingredients, candied walnuts, black glutinous rice, smooth and sweet pumpkin puree with the nuanced coconut fragrance from the coconut milk ice cream. Everything worked well together to produce a refreshing dessert, cleansing to the palate yet satisfyingly rich at the same time. The candied walnuts were addictive because of the crunch and the touch of honeyed sweetness, more would have been much appreciated. This was more of a palate cleanser than anything else. 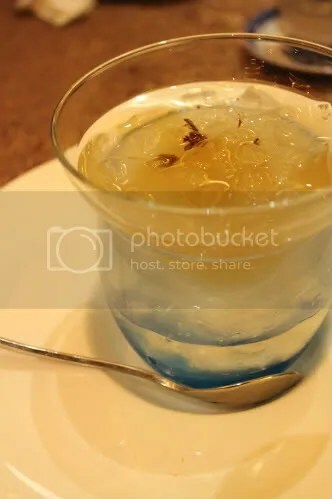 The lemongrass jelly was something really interesting. 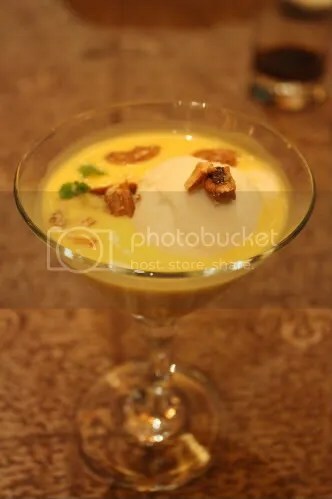 It made for a refreshing dessert but nowhere near the satisfaction of eating something creamier and richer like the dollop of coconute ice cream immersed in the silky smooth pumpkin puree. Such a wonderful experience taste paradise was, and after all the extra drinks, tea etc, the bill totalled to $113. Plus, if you charge more than $50 to your amex card ( or more than $100 for any other card) you can redeem free parking in Ion for 2 hours at the concierage. Saves you about 6-7 dollars, enough to buy you another dessert! 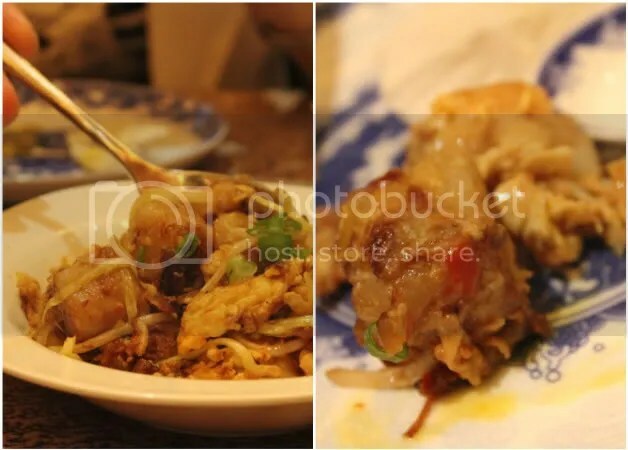 Such consistency amongst every single dish is almost impossible to find in restaurants. Taste Paradise has lived up to expectations, and I’ll certainly be making my way back soon.